Celebrating Women and Girls’ in Sport! 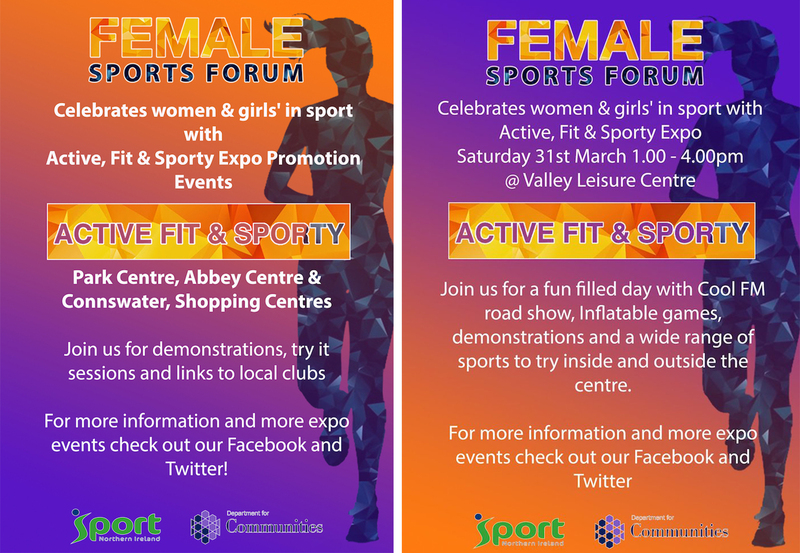 Active Fit & Sporty Expo Events this Saturday 31st March. The main event will be at Valley Leisure Centre 1.00 – 4.00pm. We have Cool FM road show, inflatable games, demonstrations, taster sessions and links to local clubs. We also have sports promotion and demonstrations in Abbey Centre, Park Centre and Connswater Shopping Centres.